To realise the full potential of your brand, you must be able to conceptualise it as a strategic platform that drives your business. Brands as diverse as IBM and Coca-Cola define the brand promise through key values and attributes. They then relentlessly execute in delivering this brand promise for customers and employees alike. For customers, the brand promise helps to shape the customer experience through the product and services being offered through various channels. For employees, the brand promise helps to shape the culture they work in and the values that guide their behaviours with customers, partners and each other. All of this creates strong relationships with stakeholders and enhance perceptions, which get captured in the intangible value of the brand. When viewed in this way, your brand becomes a value-creating asset that if deployed correctly across the business can generate financial value, just as you would deploy land, building and machinery to create a product to generate revenue through them. Building a brand is a long-term commitment that businesses need to make, with the objective of reaping the rewards in the future, two to three years out. This is because it takes time to establish relevant meaning throughout the business system leading to generating returns with a coherent and well-articulated brand. This value can be financially quantified, and can be done so through a brand valuation. Current accounting practices do not allow you to incorporate your own brand value in the balance sheet. However, in the event of a sale, the acquiring company is now required to do so. Companies such as Google that are light on assets have massive valuations primarily based on its intangible assets where the brand value is proportionately high in relation to the business value. This is the opportunity that businesses have to realise the full financial potential of their brand, by looking beyond the brand as a logo or design. In this context, it is worth taking a closer look at SriLankan Airlines which is one of Sri Lanka’s most valuable, with a brand value of Rs. 16.8 billion and is primed to be restructured under the new Government’s plans to stem the losses. 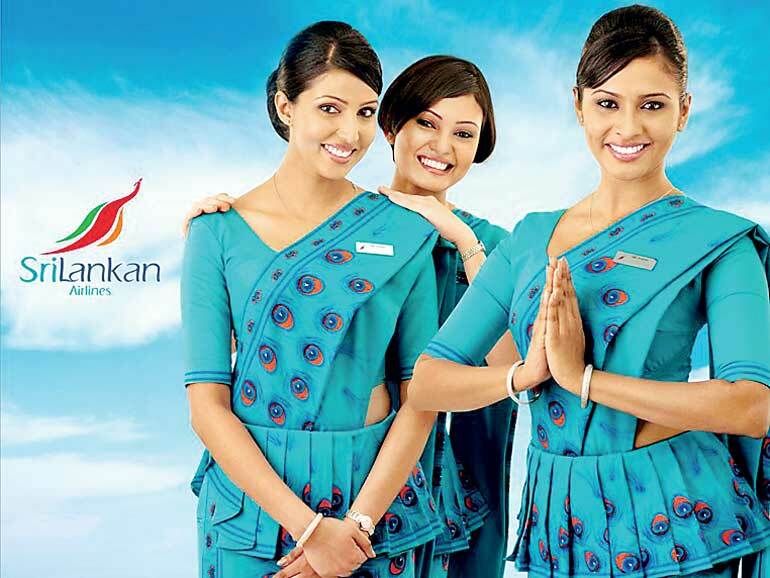 How might SriLankan Airlines adopt this brand-as-a-value-creating-asset mind-set to increase its brand value in the restructuring process? The SriLankan Airlines brand in a customer’s mind is built by the experience it has at every single touch point from check-in at the airport to the in-flight entertainment system. The airline must view every consumer contact with the brand as an occasion that might enhance the brand’s value or undermine it. The tonality of email communications matter as much as the cabin interiors. The customer impact of the brand is based on SriLankan’s ability to have a sustainable point of differentiation relative to competitors and its ability to provide relevance through its product or service offerings, sometimes way beyond what the customer can even imagine. This leads to establishing a closer and longer-term relationship with customers. It is this close on-going relationship that leads to increasing the frequency of interactions, purchase and greater price elasticity. British Airways, for example, was recently named the number one Superbrand in the UK because of its track record of delivering outstanding service at every touch point. In order to strengthen the brand, SriLankan Airlines needs to be able to define its brand in a manner that will accelerate innovation leading it to be among the league of top global airline brands. This requires bench-marking with those that are providing the highest standards among what passengers have determined are the most important attributes and diligently working on enhancing these aspects. The biggest challenge in doing so is obtaining the involvement and commitment of the employees to deliver the essence of the defined brand, which can vary from one airline to another. The employee association and level of commitment and motivation is key for service organisations. Employees need to have a clear understanding of what the brand is all about if they are to consistently deliver the brand promise every single day. The brand is essentially in the hands of the employees who exert enormous power through how they deliver the defined experience. So, the more they understand the brand, better motivated they would be to deliver the defined service. Through well-designed internal initiatives, Southwest consistently reminds employees of its vision and purpose. Vision: to become the world’s most loved, most flown, and most profitable airline. Brand purpose: we exist to connect people to what’s important in their lives through friendly, reliable, and low-cost air travel. Customer experience and employee engagement are critical to increasing brand value but to truly be on the path to becoming one of the leading global brands, SriLankan must master the agility paradox. Landor’s global research shows that the most successful brands across industries are demonstrating a remarkable willingness to change and bring innovations to the market while staying true to the brand. Whether it is Samsung or Disney, these brands are managing to be quick AND nimble without wavering on the core tenets of what the brand means. The strongest brands possess two seemingly contradictory dimensions, which are Leading and True. Leading is about being visionary and innovative. True relates to authenticity and excellence in performance. Emirates - the world’s most valuable brand according to the Brand Finance Airlines 2015 Study - beautifully embraces this paradox. Emirates continues to reinforce its positioning of “enabling discovery” through new campaigns like Hello Tomorrow on the one hand while constantly innovating the experience for business and economy class travellers on the other. Thought of this way, branding becomes the quest to constantly find new ways to deliver what the brand stands for in different parts of the customer experience. A brand manager at Delta Airlines would spend much less time today on making sure the logo is consistently reproduced or on a promotion campaign and instead would spend much more time on collaborating with the HR team members to ensure how new initiatives can be introduced to the training module for the cabin staff in order to enhance the customer experience even more. The focus of the modern day brand manager is no longer on just creating awareness or communicating, but it is all about driving relevance with both customers and employees in a holistic sense. The old rigidity in the construct of the brand has given way to agility in how the brand is being managed every day… way beyond the logo.